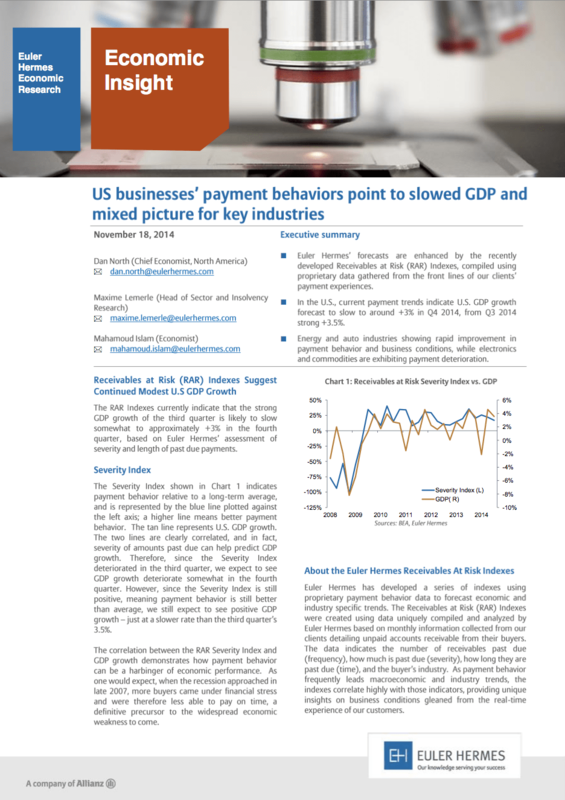 In the U.S., current payment trends indicate U.S. GDP growth forecast to slow to around 3% in Q4 2014. The Receivables at Risk (RAR) indexes suggest continued modest U.S.GDP growth. In this document, you will find the RAR figures and the detail by sector.